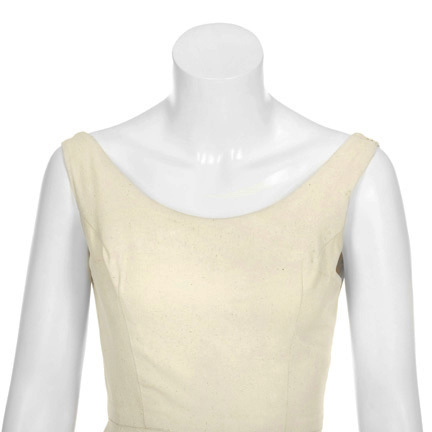 This white dress was worn by the character "Bella Swan," portrayed by actress Kristen Stewart, in the 2011 motion picture, "The Twilight Saga: Breaking Dawn (Part 1)." 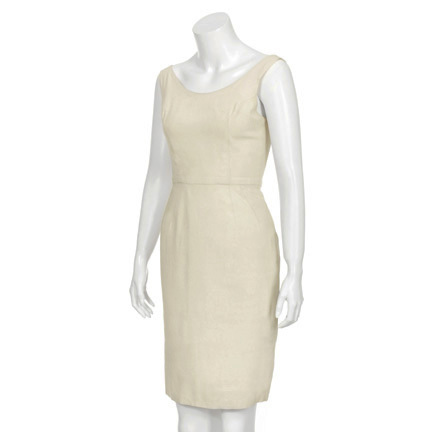 The classic 60’s vintage sleeveless knee length dress is constructed of tussah silk with charmeuse lining. 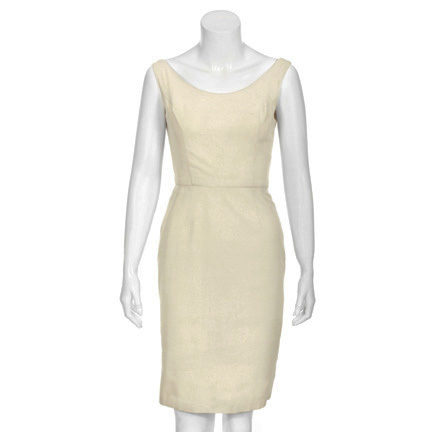 "Breaking Dawn" costume designer, Michael Wilkinson, is stated to have referenced the Kennedy summer vacation look in designing the wear. 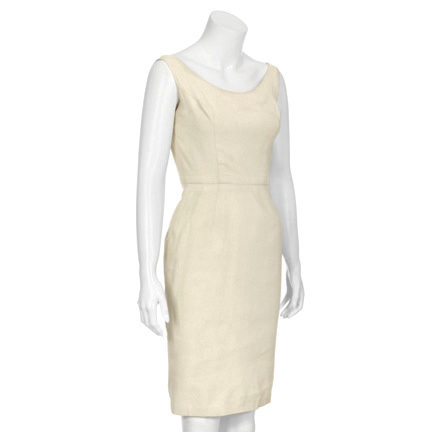 Going with crisp, cool natural fibers, he was looking to capture the classic American summer wear fashion. 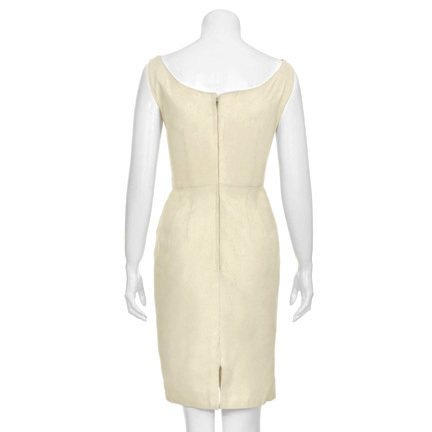 Ms. Stewart wore this dress during the wedding reception scene and as Bella (Stewart) and Edward (Robert Pattinson) arrive at their honeymoon cabin. The much anticipated wedding between Bella and Edward is the culmination of the romance story arc that the film series is centered around. She also wore the dress in various promotional images for the film as well as in the official film trailer and poster. "The Twilight Saga: Breaking Dawn (Part 1)," the fourth installment in the romance fantasy film series based on the novels by Stephenie Meyer, features Kristen Stewart, Robert Pattinson, and Taylor Lautner. The series has grossed over $2 billion in worldwide receipts and "Breaking Dawn (Part 1)" has grossed over $630 million worldwide, to date. The franchise has been nominated for 20 MTV Movie Awards and Kristen Stewart has won the award for Best Female Performance in each film of the series. 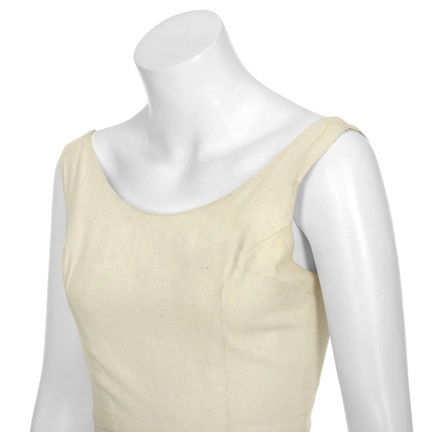 The garment is in good vintage condition with slight repairs due to age and use on production. Comes accompanied by a letter of authenticity from the costume house. Presented by The Golden Closet, your premier source for iconic screen used wardrobe, props, and music entertainment memorabilia.